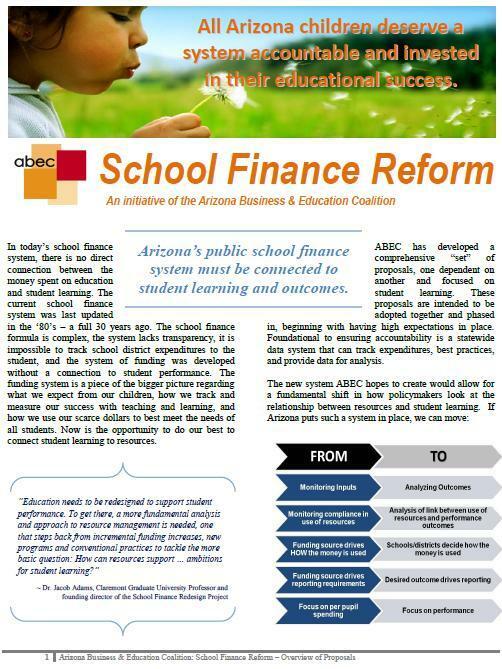 In December 2009, the ABEC board of directors approved the following set of proposals for its School Finance Reform Initiative. The development of these proposals was guided by the Initiative’s Guiding Principles approved earlier by the ABEC board. 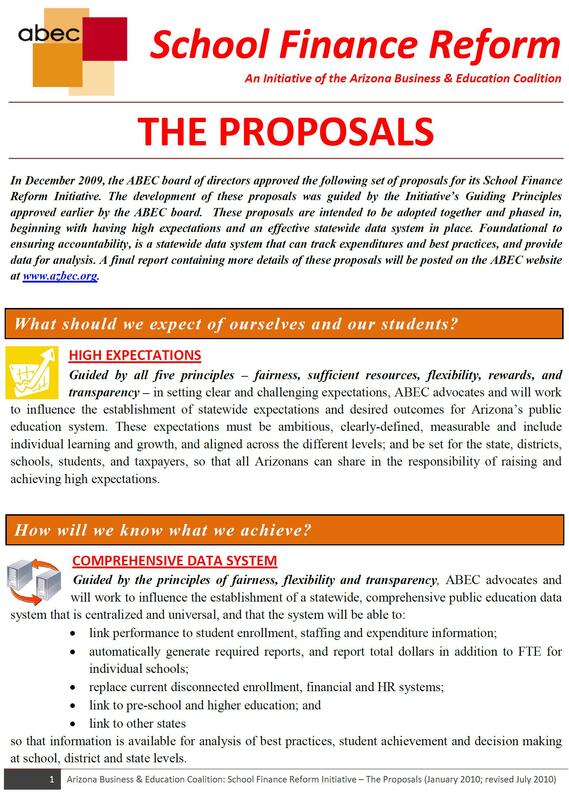 These proposals are intended to be adopted together and phased in, beginning with having high expectations and an effective statewide data system in place. Foundational to ensuring accountability, is a statewide data system that can track expenditures and best practices, and provide data for analysis. 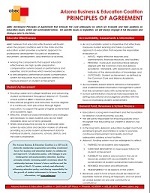 The ABEC Overview brochure provides a brief summary of ABEC. It also contains the strategic plan and lists the ABEC board of directors and its member organizations. It is a handy publication to share with others so they too, can become familiar with ABEC. The ABEC Spotlight provides subscribers (members and non-members) with different views and insights on education issues as well as brief spotlights on our member organizations and updates from ABEC. Not on our mailing list? Sign up now. Wish to read our past issues of the ABEC newsletter? Simply click on a link below. For several years, ABEC published a “Year In Review” that highlighted that year’s accomplishments. Click on a year below to read the highlights for that year.